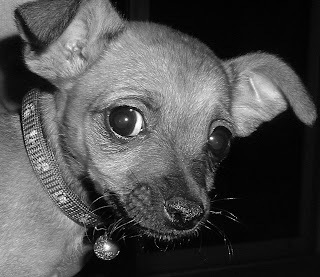 This is a baby picture of Frida taken by Andrew and cropped by Purpleflor. A year from the time of this picture, Frida is napping on my lap...so what better time to write about the perfect dog date? A day we take advantage of all the dog-friendly fun Tucson has to offer? A day packed with tail wagging ecstasy? We would start off by having breakfast outside at the Cup Cafe, then jump in the car and head up to Mount Lemmon for a mountain hike. By the time we wrap up, it will be time for lunch at The Mount Lemmon Cafe. Then (since we're in Frida's dream world and we never get tired), we'll drive down the mountain and over to the Pima Air and Space Museum. After roaming around the old planes, we'll go to Bookman's to relax and read about chihuahuas. We'll inevitably get hungry again, and our stomaches will take us to Enoteca, where we'll eat al fresco while a downtown parade goes by. Our last stop will be The Hut, for drinks and live music to wrap up our long, dog-friendly adventure. Find other dog-friendly Tucson establishments at DogFriendly.com. Also, please leave your comments if you have more doggy adventure ideas to add! 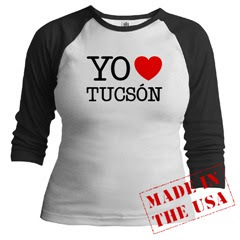 Sounds like you are on your way to discovering those sort of places in Tuscon... right on!